Hello everyone! 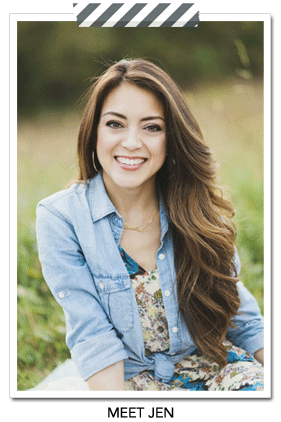 I’m excited to be writing my first post as guest contributor on The House of Wood! 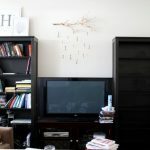 I’m Sheri from Hazel + Gold Designs and I am a DIY blogger who dabbles in a lot of creative mediums. I also have many other hobbies. 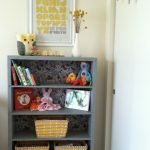 One of my favorite things to do (other than DIY projects) is read. I just love books. Everything about them. 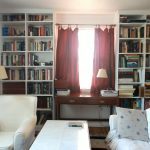 Which also means that I have books displayed throughout my home. 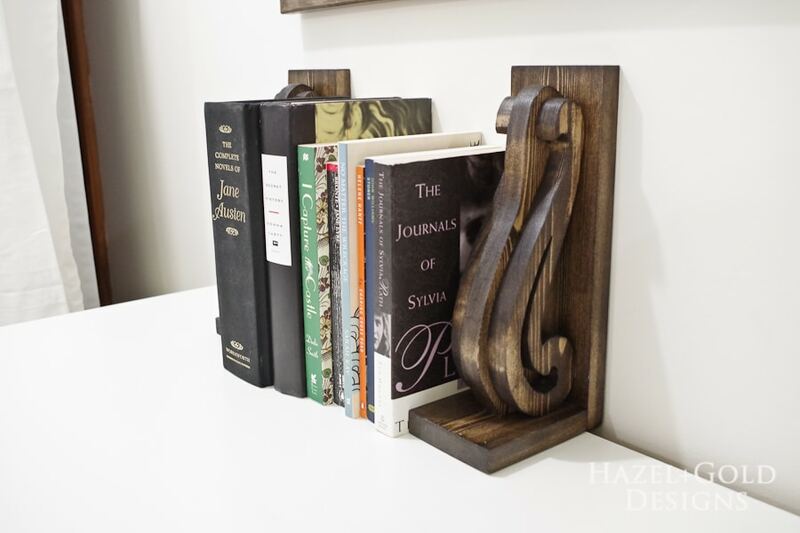 Today I’m going to show you how to create these amazing DIY Decorative Wooden Bookends. 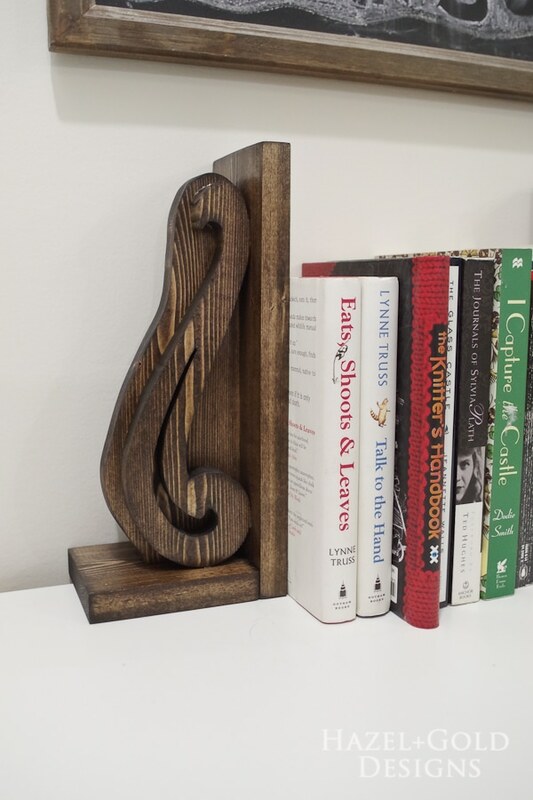 The first step in this project is to make the curved parts of the bookends. First, trace your design onto paper. I used a French curve stencil and traced out 4 pieces. 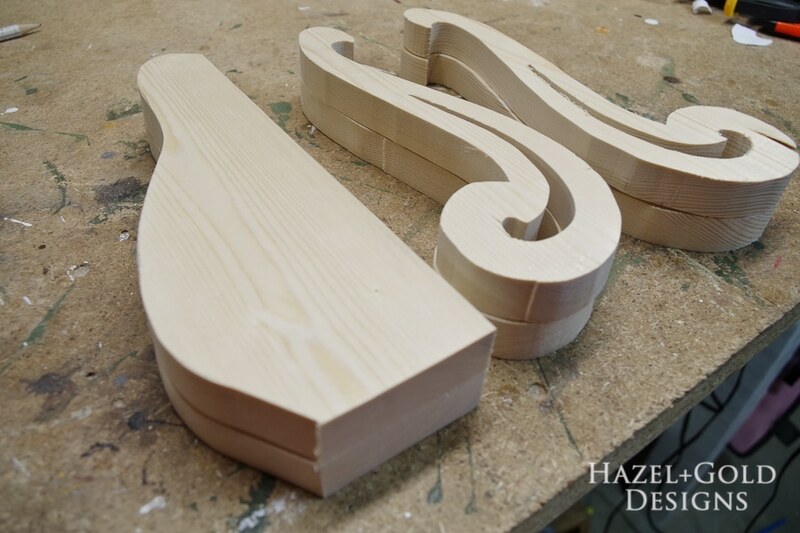 Once you have them traced, cut 4 pieces of wood at least the length that you need. You may want a little extra to hold onto when cutting with the scroll saw. 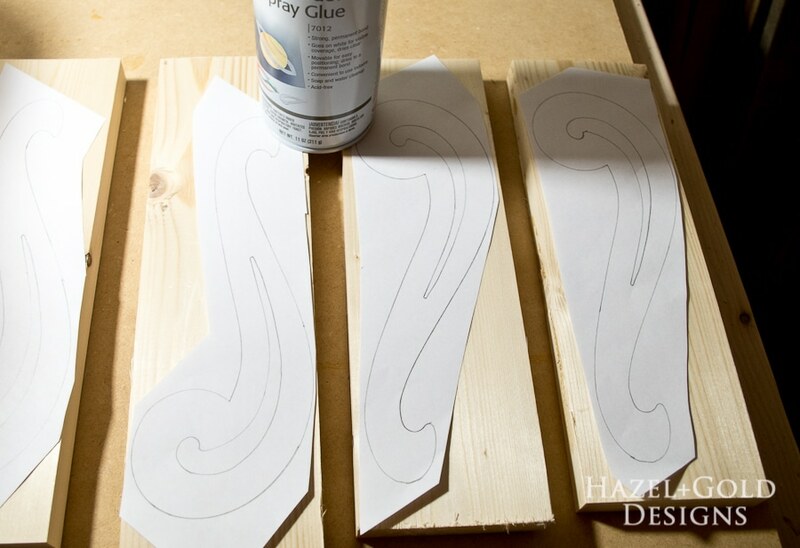 Use a spray adhesive to adhere the stencils to your wood. 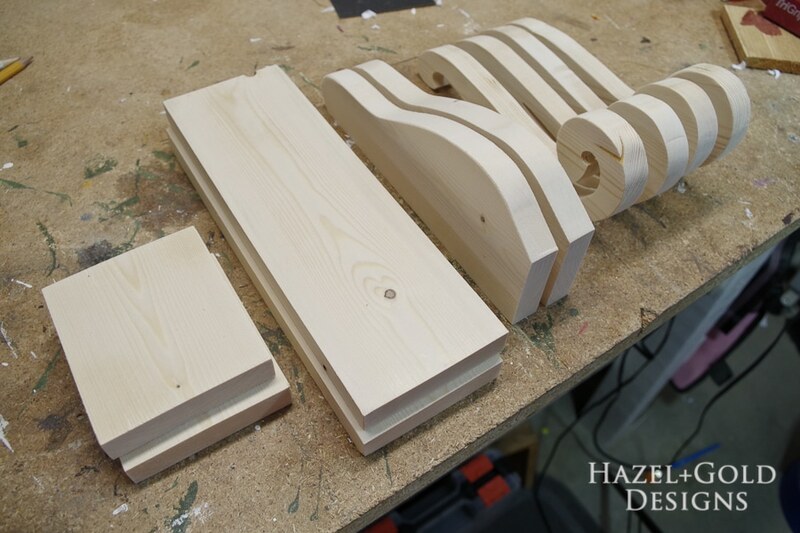 Before you start cutting, drill pilot holes into the sections you’ll be cutting out in the middle of the design. Begin cutting on the scroll saw, starting with the inner cuts then working your way out. This is a pretty simple pattern for a beginner. (I am definitely an amateur scroller!) Cut out all 4 pieces. 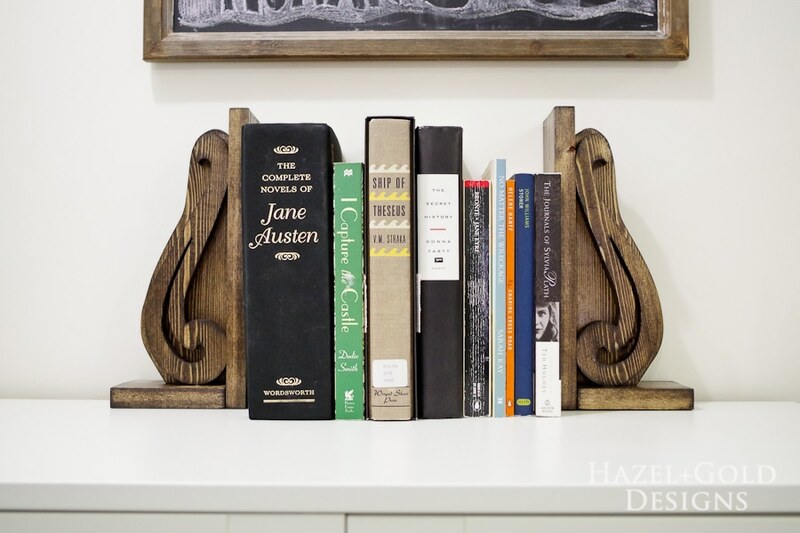 You will use two on each bookend. Once your curved pieces are cut, lay one onto the rest of your board and trace a line imitating the outer shape. This will become the center piece. 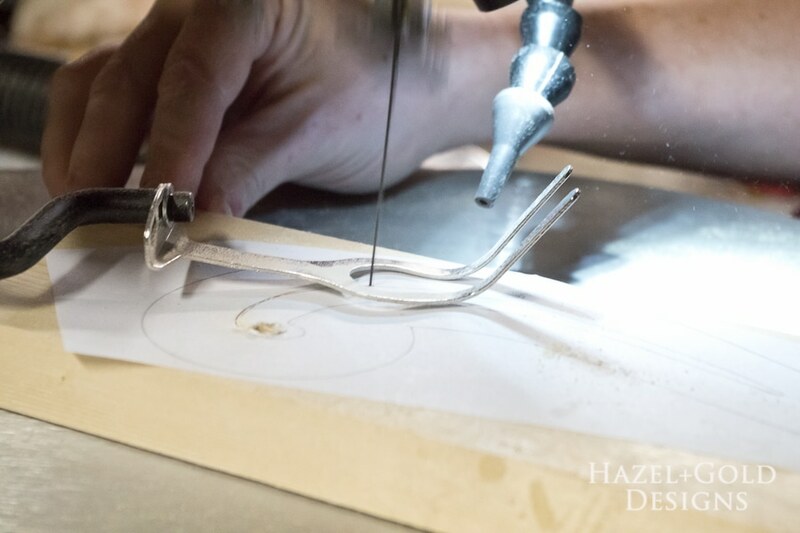 In this photo, I traced the bottom edge of the center piece about 1/4″ wider than the curved piece, leaving a right angle on the back side which will attach to the base (if that is confusing, scroll down to assembly instructions.) 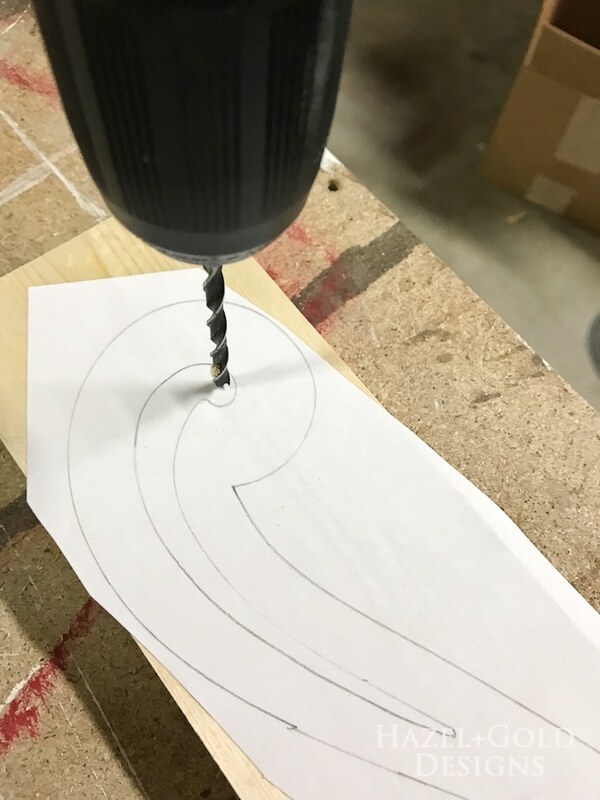 Cut this shape with the scroll saw twice. Next, cut the base on the miter saw. This just needs to be tall enough and long enough to encase the curved pieces. 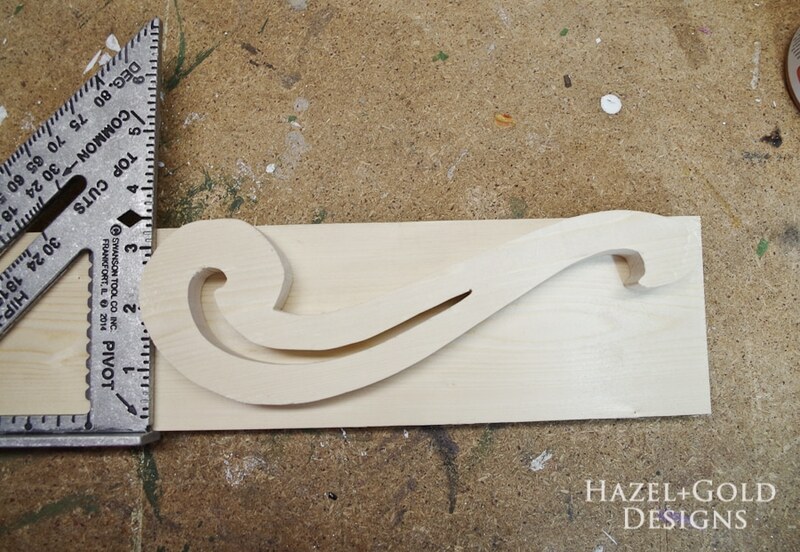 My curved pieces were about 9.5″x3.5″ so I cut my long pieces at 10.5″ and my short pieces at 4″. You will need two of each. Now go ahead and sand all of the pieces. 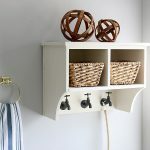 An orbital sander works for the straight pieces and sides, but I sanded the curved pieces by hand so they wouldn’t get damaged. 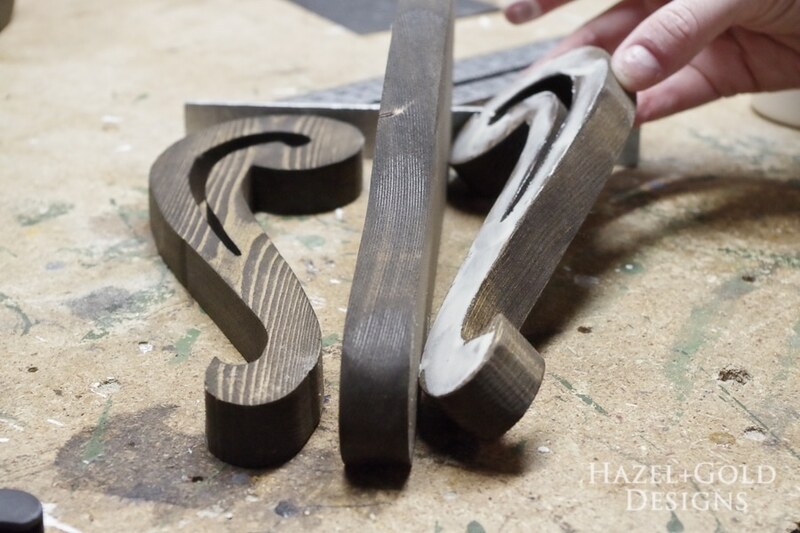 First, sand with 120-grit, then move up to 220-grit for a nice smooth finish. 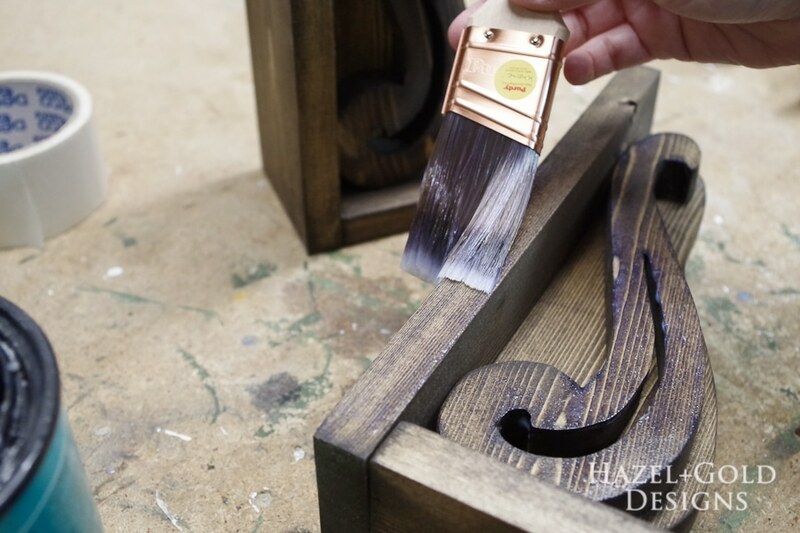 Use a sponge brush to stain all of the pieces. Remember to wear protective gloves! 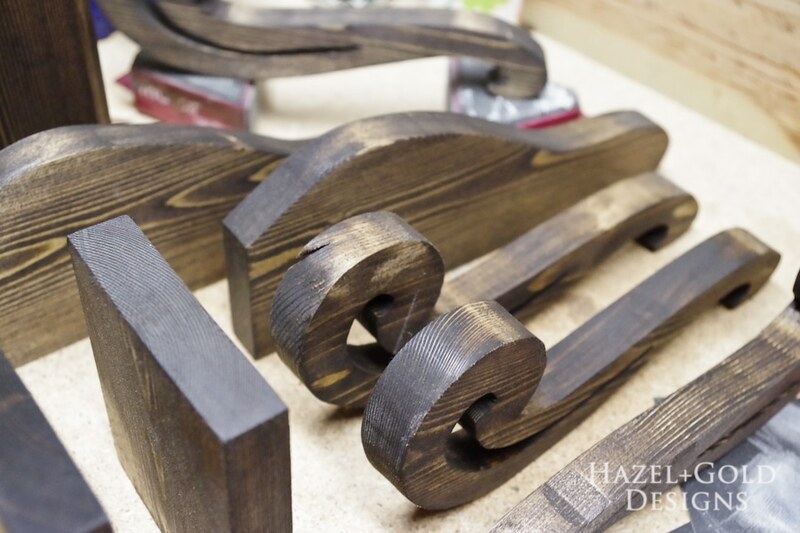 The sponge tends to get just enough stain on the wood and is able to get into the crevices in the curved pieces. Cover the entire piece with stain, then use a towel to wipe off the excess. *Pro Tip: you will be gluing all of the pieces together with wood glue. Some people tend to think the stain will interfere with the adhesion, but I haven’t found that to be a problem. This is not a piece that will hold weight. However, if you are concerned with that, you can choose not to stain the areas you will be gluing. I didn’t find it worth the extra thought and effort in this case. Let the stain dry according to the instructions on the can. Time for the glue-up! 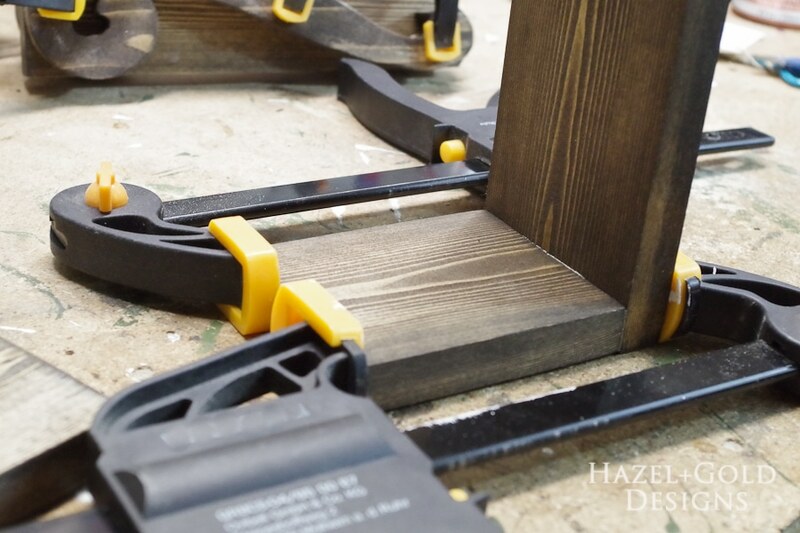 Get your clamps and wood glue ready at hand. Glue a curved piece onto each side of your center pieces. I used a straight edge to make sure the bottom was flush. 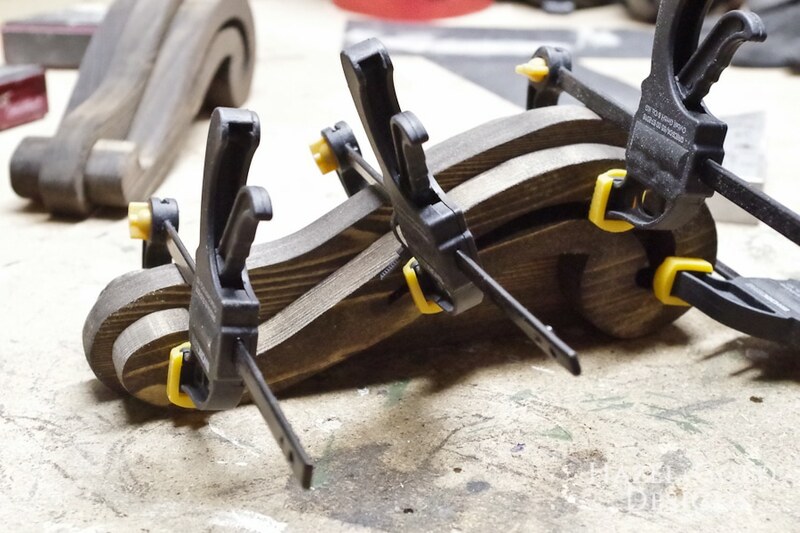 Clamp these pieces together and let the glue dry for at least 30 minutes. Do this for both bookends. Next, glue up the base. Make sure it is at a right angle and simply glue a long and short piece together. Clamp and let that glue dry for 30 minutes as well. Finally, glue the curved pieces to the bases. This should be simple – just make sure you center them into the base. Clamp and let dry for 30 minutes. Now just use some polyurethane to add a little shine to the piece. I used two coats and sanded with 220-grit in between. 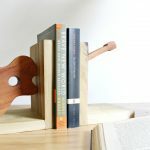 Now you have two gorgeous handmade DIY Decorative Wooden Bookends that didn’t cost much to make but will look beautiful on any shelf! 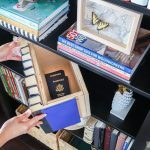 Depending on the layout of your shelf and where it lives in your room, you can even turn them sideways! 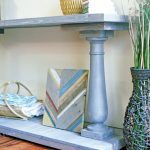 I hope you liked this DIY Decorative Wooden Bookends tutorial! Let me know what you think in the comments. 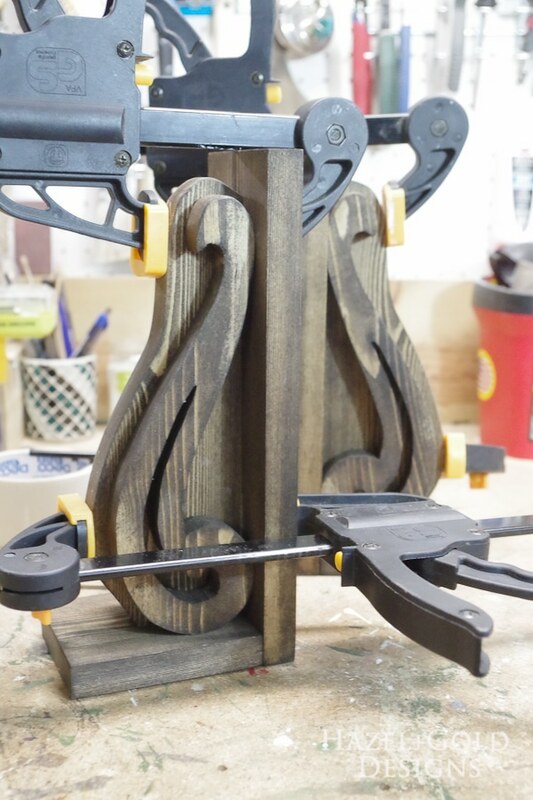 This is a great project for anyone who has access to a scroll saw – beginner or pro! Thanks for reading! If you make them, be sure to share photos with us. Please PIN or SHARE this project! Thank you! 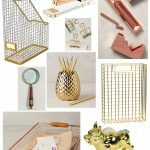 Sheri has found a passion in making and being creative and has been documenting her projects online at Hazel + Gold Designs since late 2016. 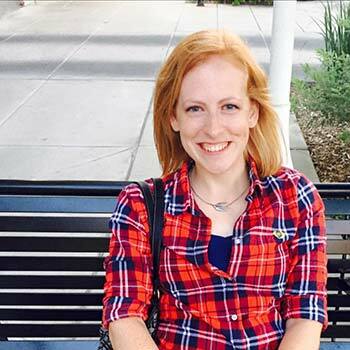 She dabbles in various mediums such as painting, crocheting, woodworking, resin art, sewing, vinyl crafts and more. Her life goal is seeking to learn new skills and creating new things that make her life and home a little more beautiful. She believes there is a great sense of purpose and empowerment in creating something that didn’t exist before, and her hope and journey is to inspire others to do the same. When not working on projects Sheri stays busy with various volunteer opportunities and making a life full of beautiful moments with her husband, four children, perfect dog and ornery cat. Sheri, as always I love what you’ve creayed. 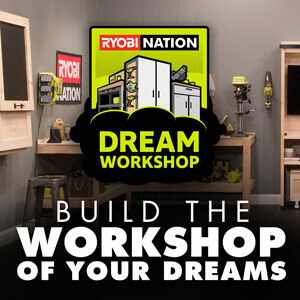 I really need to Stocken up on some tools so I can start getting creative with wood.